In response to an exposure by one of their trade unions recently, SriLankan Airlines yesterday said an Airbus A330-200 4R ALS acquired by the previous management, which is currently idling at the Bandaranaike International Airport (BIA), lacks suitable cabin configuration for their use. “SriLankan Airlines wishes to clarify its position with regard to the utilization of one of its Airbus A330-200 aircraft bearing the serial number MSN-1008 and CAASL registration number 4R ALS. All other aircraft in the SriLankan Airlines fleet operate a two-class configuration of Business and Economy classes, with a particular standard of comfort in seating,” a SriLankan Airlines statement said. It further said that as a result the previous management took a decision to lease this aircraft to a European airline. However, after some time, this European airline had violated the lease agreement by defaulting on the lease payments. The lessee also did not fulfill its obligations under the lease contract to prepare the aircraft for the handover. The engineering team at SriLankan had performed the required maintenance checks to make the aircraft ready to fly. “The management is also exploring the possibility of sub-leasing this aircraft to a charter operator or to another airline. 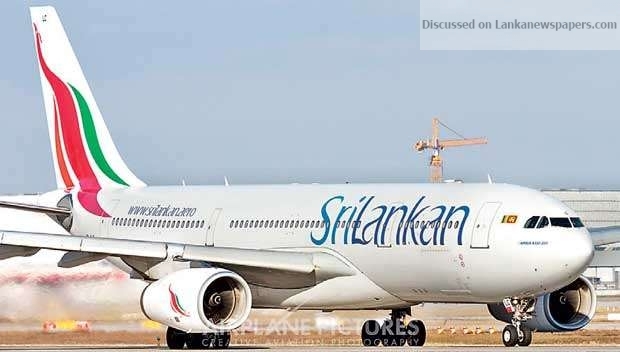 Until such time, the aircraft remains at BIA as part of the SriLankan fleet, although it is not in use due to the above-mentioned reasons,” the statement said. Responding to charges as parts of this aircraft are being used for other aircraft in SriLankan’s fleet, the airline said that it is a standard practice in most airlines that various interchangeable parts or components such as the engines that are urgently required for an operational aircraft are taken out of aircraft that are not in immediate use, if such parts are not at the time in stock in the airline’s spare parts stores. Meanwhile, the present management of SriLankan stressed that it was not involved in the decisions with regard to the ordering of the A350-900 aircraft, which took place in 2013 or the cancellation of the order in 2016 or of the acquisition of the A330-200 aircraft 4R ALS, which is unsuitable for the airline’s present business model. “The management is attempting to optimize the usage and return on investment on this aircraft, as with any other asset of the airline. The management is also taking necessary steps to recover the losses to the airline from the relevant parties,” the statement said. Fitch Ratings yesterday affirmed SriLankan Airlines Limited’s (SLA) US $ 175 million 5.3 percent government guaranteed bonds due 2019. The airline’s bonds are rated at the same level as SLA’s parent, the government of Sri Lanka (B/Stable) due to the unconditional and irrevocable guarantee provided by the government. The State held 99.5 percent of SLA as at end-2018 through direct and indirect holdings. Fitch said the rating is not derived from its issuer’s standalone credit profile, and is therefore not comparable with that of industry peers.